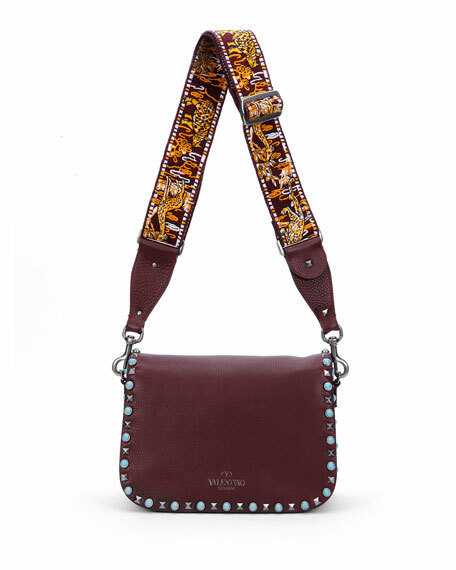 Valentino Garavani pebbled leather messenger bag. 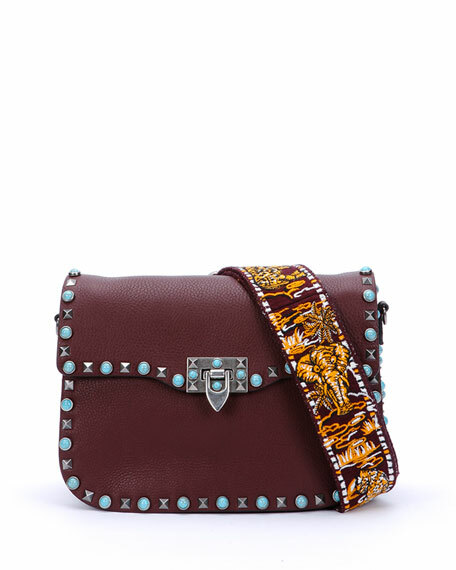 Turquoise cabochons and signature Rockstuds trim body. 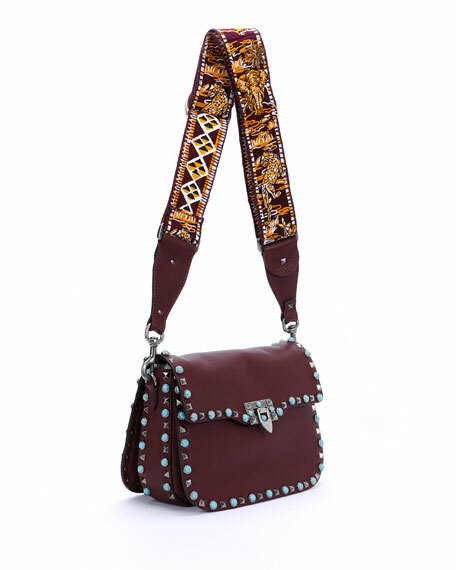 Removable, adjustable crossbody strap with ornate animal embroidery. 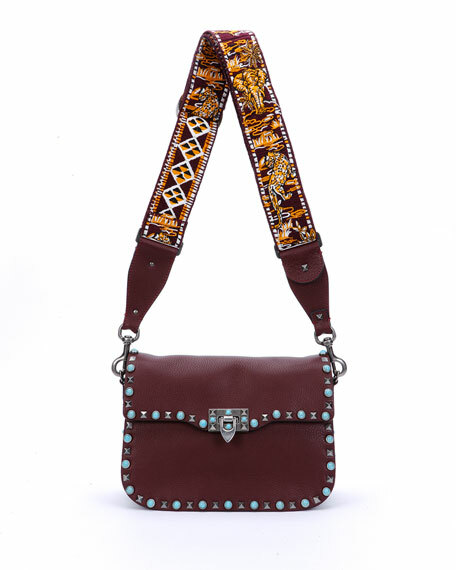 Flap top with flip-lock clasp. For in-store inquiries, use sku #1669524.